…And what did you do today? One of the things we get asked a lot when we get home is, “What do you do all day?” We usually get cute and respond with, “Well, we’re not really sure but it takes all day to do it!” Actually we find our days are full of things to do. Our day generally starts at 6:30 AM. That’s when the sky starts to lighten in the morning and since it’s been so warm we’ve not bothered to cover any of the windows to allow as much breeze as possible to flow through the van, so we get up as morning twilight breaks. It’s my favourite time of day ever since I worked as a fishing guide. I loved getting to work early enough to enjoy my morning coffee while watching the sun come up. 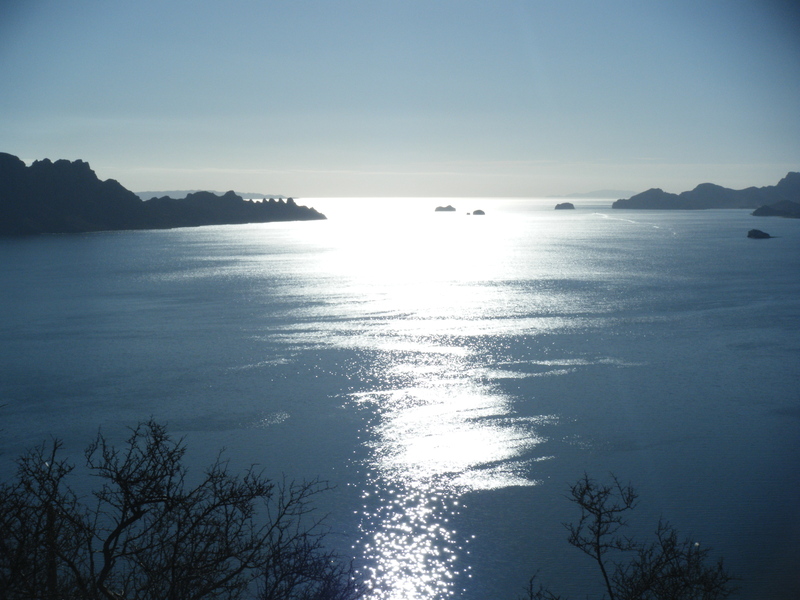 So we sit with our coffee and our Kindles and watch the sun rise over Danzante Island. Every day it comes up just a tiny bit further south. Once coffee is over, I put on running shoes and head up Hart’s Trail, just a little to the north of us on the beach. It’s a ½ mile trail that meanders up the side of the hill up to 800 feet from sea level. Sounds pretty easy, doesn’t it? Trust me this is a cardiac killer and I do it as fast as my feet can carry me. Nothing like sweating so hard it feels like I just stepped out of the shower. Then it’s back down without slipping on the rocks and into the van for breakfast, a quick wash and then we sit and listen to the daily VHF net. A program that fills everyone in on the weather, comings and goings of friends, local announcements, jokes and various other information that helps all of us with the daily grind here. I’m still Sandy Beach on the radio and rather famous for my jokes, so I’m told. There are some friends on the beach who won’t go out fishing until they’ve heard my latest offering. So I’m finally famous! Who knew? On other days we head out kayaking or fishing as early as possible. The kayaking because we travel long distances and the fishing because most of the fish we’re after don’t bite once the sun is up. 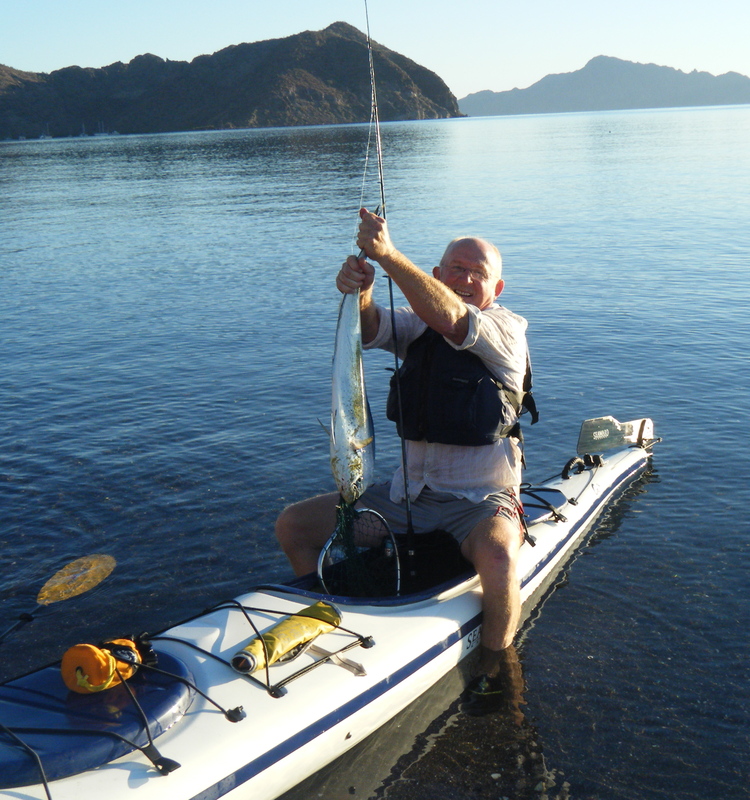 I’m proud to tell you, both Richard and I caught a Dorado this past week. Him in our our kayak, by himself, and me with one of the campers on the beach, while piloting a little 15 foot tin boat that she and her husband have put at our disposal. This really is quite the friendly, loving community and we all look after one another. A day doesn’t go by that someone isn’t offering us a piece of fish, fresh or smoked, or inviting us to a beach dinner or restaurant special. Yesterday, for example, we went for lunch with some friends from Victoria. They’re here helping her brother with the grand opening of a new restaurant. Best damn burger I’ve had down here! 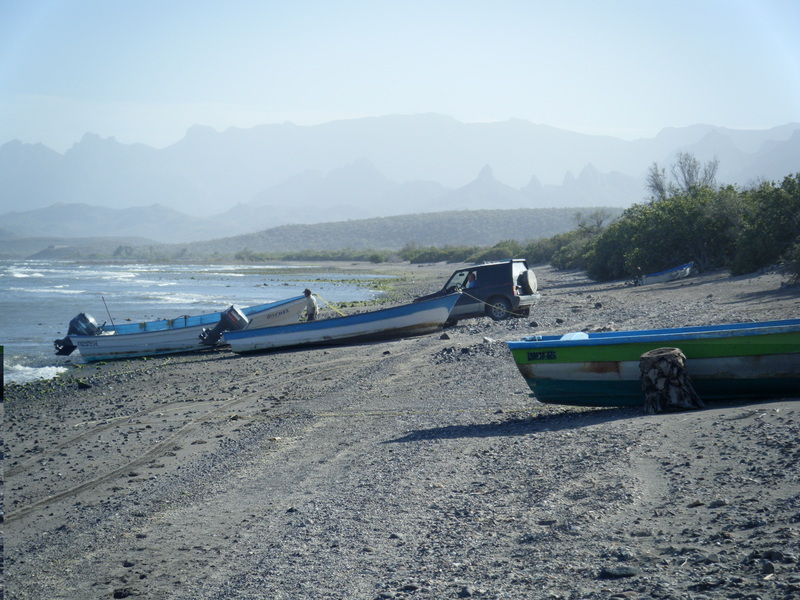 Then for dinner we headed to the south end of the beach where another couple we’ve become very close to, fed us Elk steaks and smoked Dorado. Our life is just one great big social whirl! My Dorado. I should mention that both these fish were caught on very light tackle. What a great fight! As the day advances, and the temperature rises, we find ourselves relaxing for a while in the shade, with me in my hammock, Kindle in hand. By 2 or 3 it’s time for a swim or maybe a bit of snorkeling, to cool off, then back on shore for a warm shower and an ice cold Dos Equis. Oh, and I should mention the birds. We’ve become as our British friends call us, Twitters. It’s hard not to watch the birds when the variety’s are so many and so varied. They are everywhere and you just can’t help yourself, eventually you have to know what they are. All of us have at least 1, if not 2 or 3 bird identification books and we talk about rare sightings as if we were all Ornithologists. It even gets announced on the net, once in a while. Male and female Hooded Orioles. A very common bird here. Yeah I know, you hate me, but hey, you too could be doing this. All it takes is giving up everything you’ve got. Quit your job, sell everything you own and move into a 26 ft, motorhome. You could be living right here beside me on the beach. All it takes is being a little crazy and not afraid to take big risks. 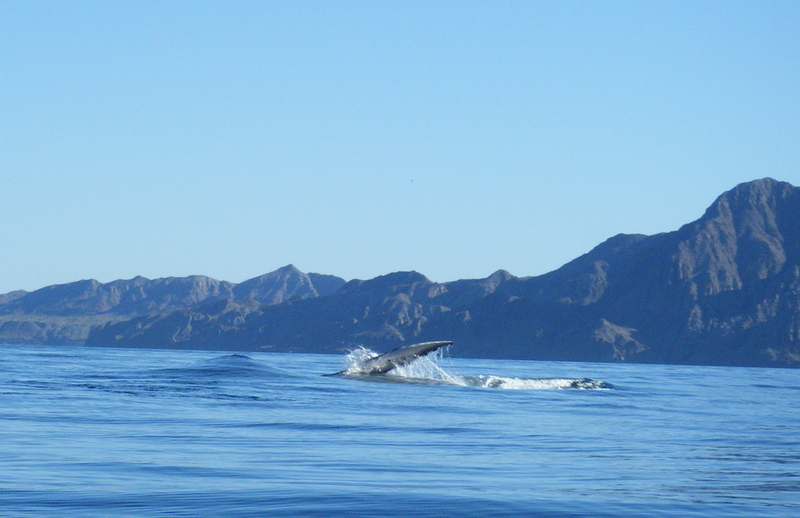 A week doesn’t go by that’s not filled with something exciting, the whales are starting to arrive, pods of hundreds of dolphins are moving around, the waters are full of more green turtles than anyone has seen in 30 years and the Dorado are running. Life is hard, but hey, someone has to do it! Richard and I set out yesterday for a couple of hours of random kayaking, with no specific destination in mind. We had only covered a mile or so when we were witness to a most marvelous spectacle, 2 adult Humpbacks feeding vigorously, with a very young calf in attendance. There was only 1 other kayaker who noticed them and we were given a private showing for over 40 minutes of a sight most have seen only on nature shows. 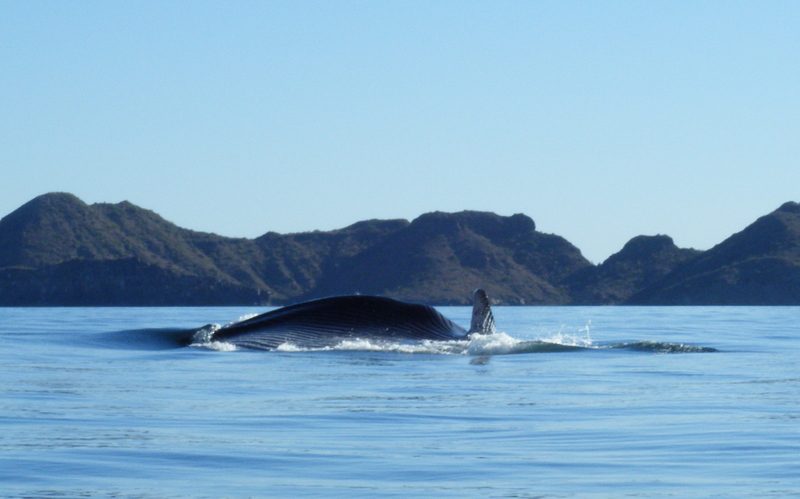 We sat still as they moved around us, feeding on the massive amounts of krill in the water. A couple of times they were within 30 to 40 feet of us. 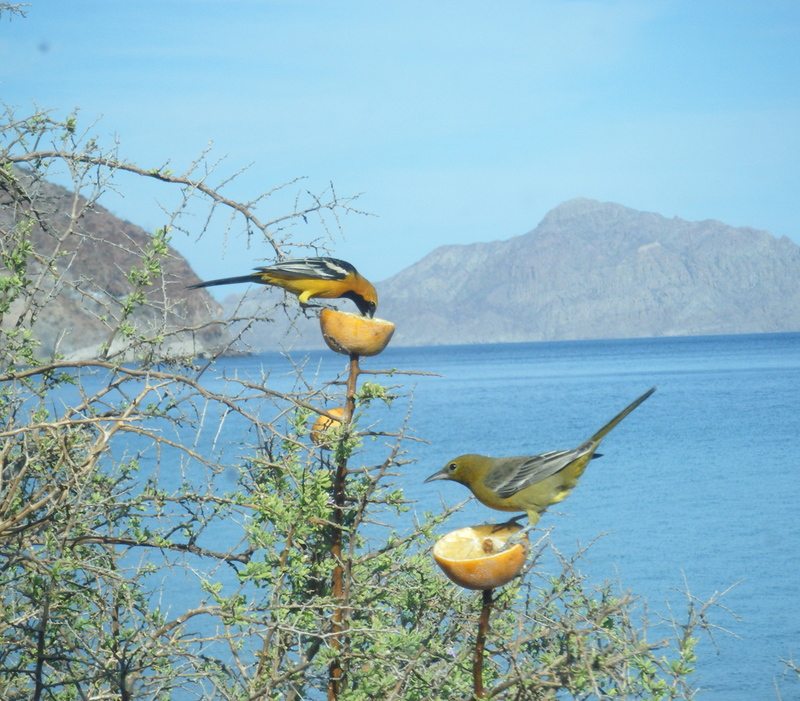 We watched them until they had moved a long ways away before we continued on our journey. Regardless as to how many times I am privileged to witness whales in their natural habitat, even after all these years of being on the water; it still takes my breath away! 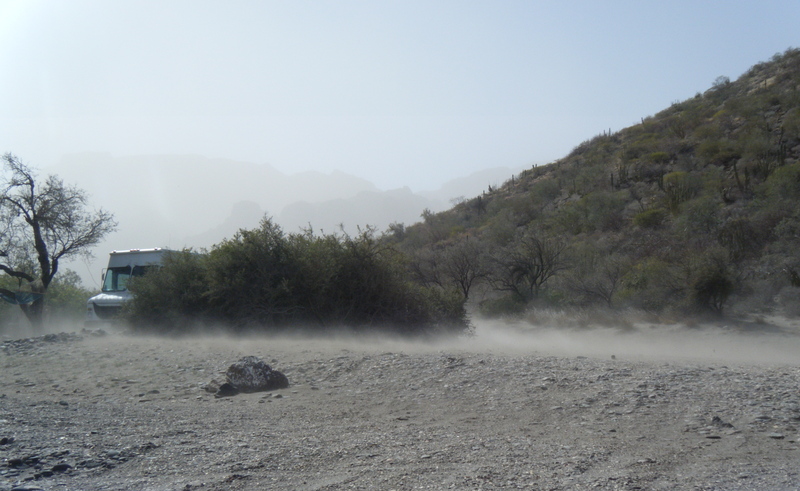 Up until the 1950’s, the Baja and Sea of Cortez was a virtual unknown to the rest of North America. 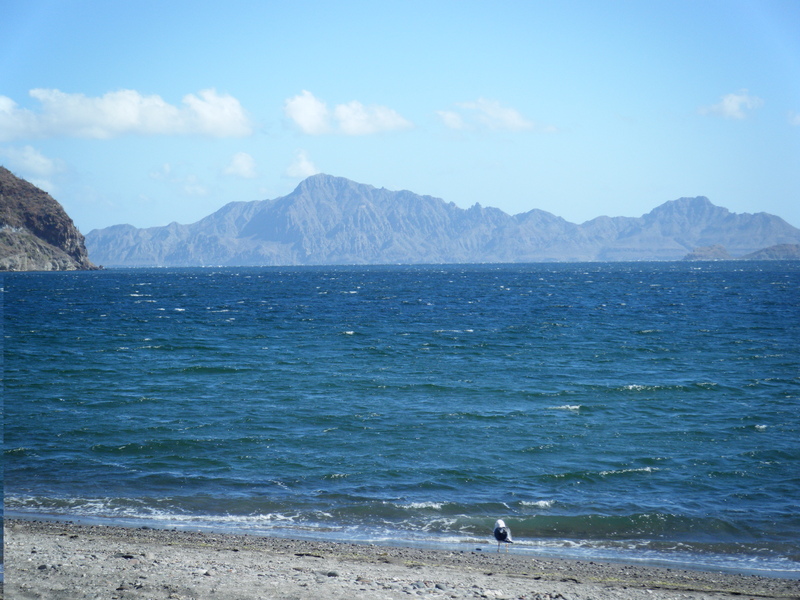 Then Ernest Hemingway discovered the fabulous sport fishing that was available here. Extremely large Sailfish, Swordfish, Wahoo, Yellowtail, Grouper, and Rooster Fish swam in the waters here and were completely undisturbed by any fishing pressure, until then. It became a wealthy mans play ground, with large World Record adult fish extremely common. Foreign commercial fishing fleets introduced change beginning in the late 1970’s with monofilament gillnets. 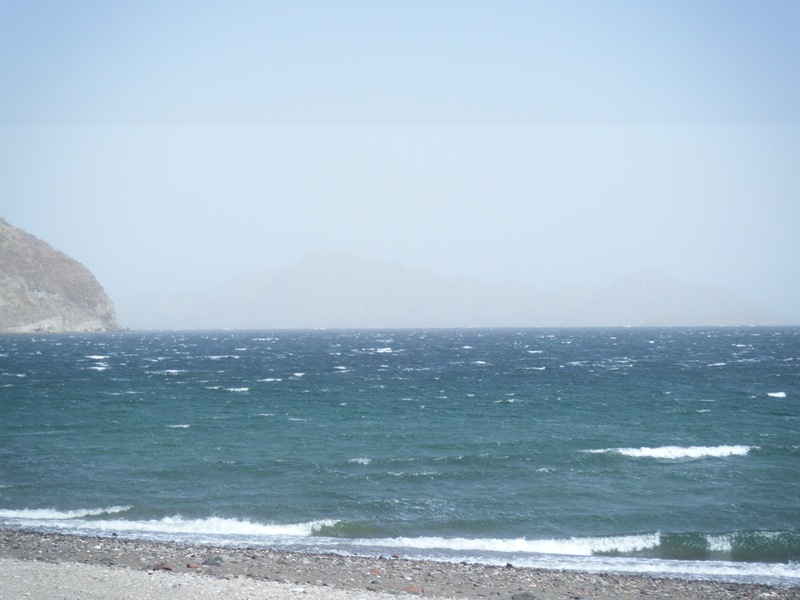 A new road was built down the peninsula during those years, creating much easier access and with it came a dramatic increase in sport fishing activities, spearfishing, as well as a large population increase, producing for the first time ever a flow of pollution into the Sea. A decrease in size and number of fish species was very noticeable by the late 1980’s. 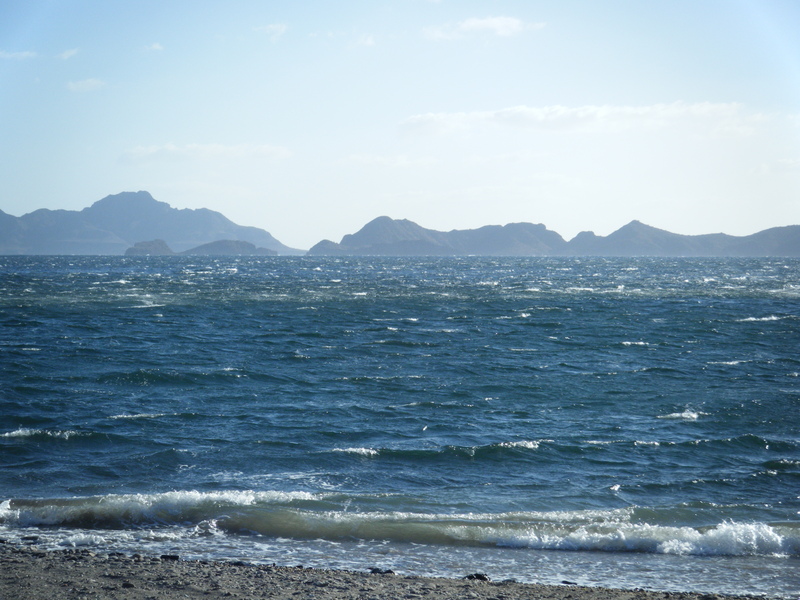 Fortunately by that time the Mexican Government had started to introduce regulations and set aside areas that became Marine sanctuaries and parks. Not only do fish live here but a great many of the worlds whale populations come into the Sea every year as part of their southern migrations. 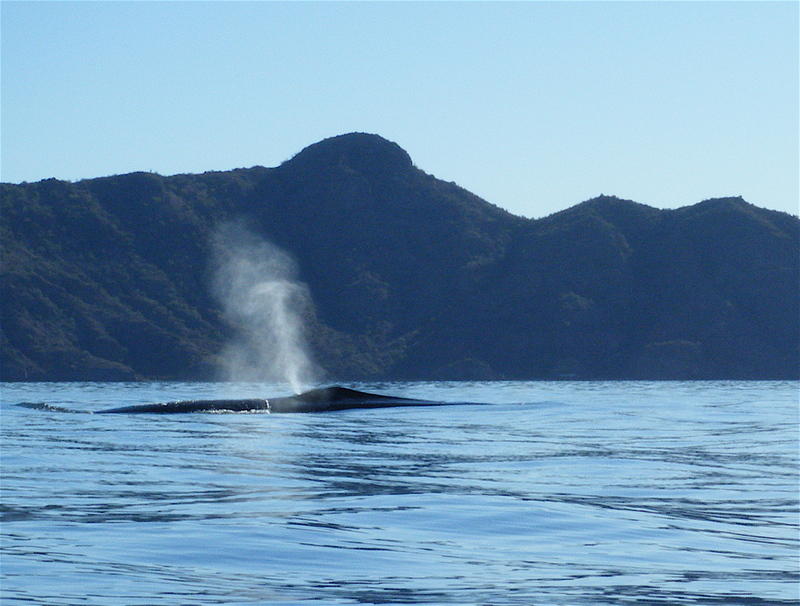 Greys and Humpbacks both use the lagoons and bays of the Pacific side to give birth and mate, as well as the warm salty waters of the Sea of Cortez. Minke, Sei, Bryde, Blue, Fin, Humpback, Right, Grey, Beaked Whales, Pygmy and Dwarf Sperm Whales, as well as their full sized relative, and Orcas, not to mention at least 11 species of Dolphins and 1 Porpoise, are all here at some time during the winter months, and some live here year round. On a calm day, whales can be found just by their blow sound! These mammals come here to mate, give birth or simply to feed in the rich waters of the Sea, and therein lays the problem. For those Rorquals or baleen feeders, life is pretty good here because the massive amounts of krill hasn’t been affected much over the years, though it has decreased somewhat due to pollution runoff. There is still enough of it out there to look like a Red Tide and has been mistaken for it, from time to time. When out kayaking it looks like the surface of the water is alive. It is this banquet that brings in the massive Whale Sharks over the winter and there is more than enough to share around. The toothed whales are the ones having the problems here. They are fish eaters and the fish they eat are quickly disappearing. Sport fishing is still one of the biggest tourist draws here and it brings in a big chunk of change to the local economy. It contributes to the decline in baitfish and there is also a correlation between losses of feed fish with those that predate on them. Without something to eat, the bigger fish and whales either move to new feeding grounds or die out! My father used to say, “Any idiot can catch a fish using bait, it takes a fisherman to catch a fish on a lure!” and he was right. It is much easier to catch a fish using bait and over the years the number of anglers has increased dramatically, putting huge pressure on the various bait fishing stocks. Anything small enough to constitute bait has been fished almost completely out. Some folks down here have complained bitterly that they can’t find any bait this year, and the fishing is very bad! These are the same folks who have fished out their own waters and since they can’t catch anything there, see nothing wrong with moving somewhere else and using the same methods that devastated their own fisheries. Day after day, all winter long they are out there taking anything and everything they can catch. They can hundreds of pounds to take home with them, so they can have cheap fish all summer until they return next winter. They are so fanatic about it that they can’t bring themselves to release anything. Many have been known to bring fish that are inedible back to the beach simply to give to their friends to use as dog food! Catch and release is not in their repertoire and it doesn’t occur to any of them to use lures. If asked why not they’ll tell you that lures cost too much and bait is free! And so the toothed whales find themselves having to compete for their very existence with arrogant, greedy, unthinking humans, who also complain that there sure isn’t much whale activity this year. I guess that old saying really is true, that we see only what we want to see and we hear only what we want to hear. Sorry for the rant, but after having spent most of my adult life in the fishing industry at home in the so-called “Salmon Capital of the World” and seen it’s demise; it’s hard to watch the same thing happening here in “Paradise”. Yes, I made a living from the Ocean, but I was always aware of the impact I was having and tried constantly to compensate for it. When we do go fishing, which doesn’t happen very often anymore, we take only what we can eat in the next couple of days and are very careful to release anything we don’t intend to kill. 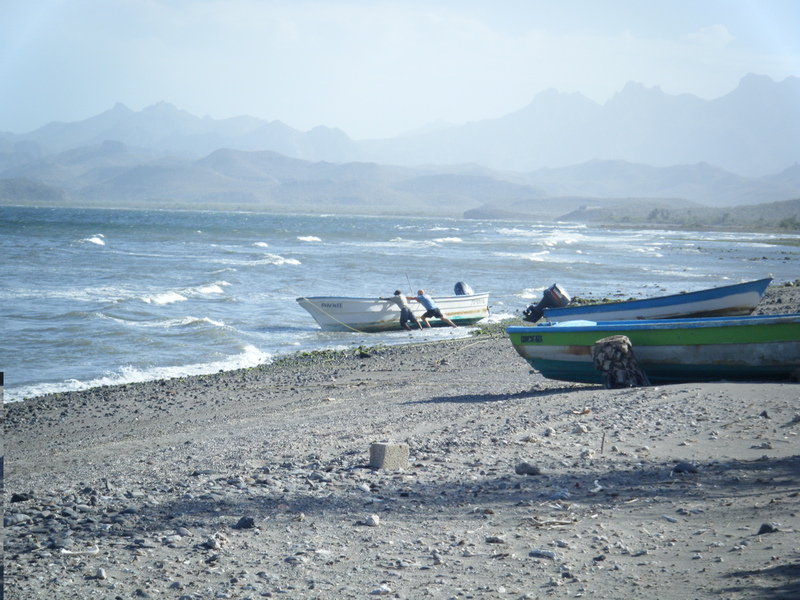 The Mexican government is trying; fishing licenses are required and there are strict regulations, including limits and number of rods allowed, but there is no money for enforcement and a great many of the gringos here simply ignore them. They get incensed when they are expected to follow the rules and seem to believe that laws in foreign countries don’t apply to them. The Government has also stopped all foreign commercial fishing and has taken control of what commercial fishing there is, but it may be too little, too late. The locals are very poor and the last financial crisis made it even harder here to earn a living, so they fish illegally. They take any fish or shellfish they can find and it’s hard to blame them when all they’re trying to do is eat and feed their kids. We are talking a Third World Country here, and they do have much bigger infrastructure problems, but it would be nice if those visitors who are big users of the resource would step up to the bat and help, instead of simply helpingthemselves to everything they can lay their hands on while whining about lost fishing opportunities. The big adult fish are few and far between now and only occasionally are really large fish brought to shore. 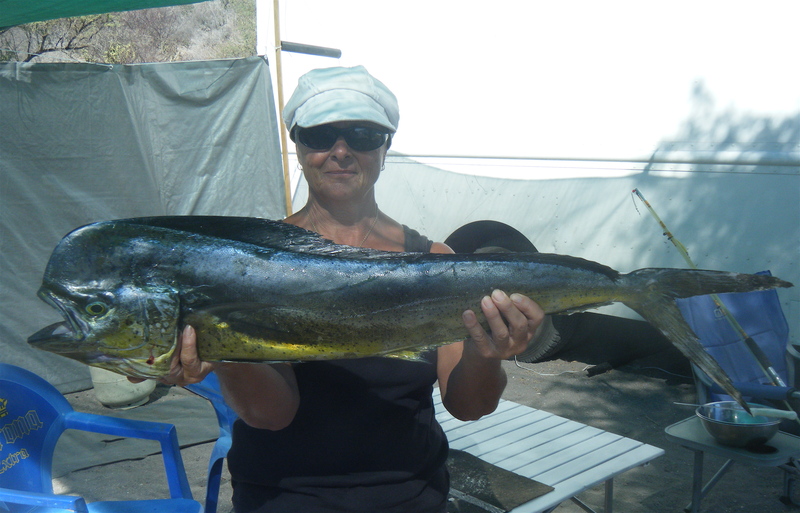 The big Dorado tournament held in Loreto every summer was won this year by a 16-pound fish. Dorado used to run up to 90 pounds. Not many of any species are seen in that range anymore. Sure, once in a while a fish over 60 pounds is landed but before Baja was “discovered” 60 pounders were the norm, and they were plentiful. Now anything over 10 pounds is considered a good catch, if you can find anything to take your hook. All, however, is not lost, as the expert consensus seems to be that though the Sea is in crisis, it’s still salvageable. 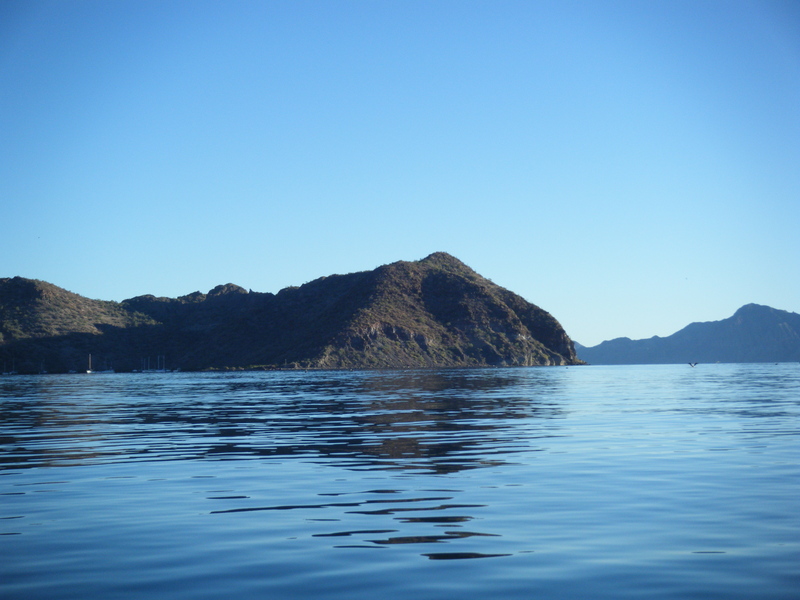 Keep your fingers crossed because otherwise we can add the Sea of Cortez to the list of seas, oceans, rivers and lakes that we, as humans, have managed to destroy based on nothing more than our own greed!